The New Moon has been one of the greatest teachers for me. The dark and waning moons are always associated with the Crone goddess, at least in my practice. Her wisdom is as deep as the midnight darkness and her lantern will illuminate that wisdom if you can face your fear. Walk into your darkness, your fear and see that it disappears. A woman I met at a meditation group said the most wonderful thing about this energy. “When you stand in the darkness, you have no shadow.” And so it is. 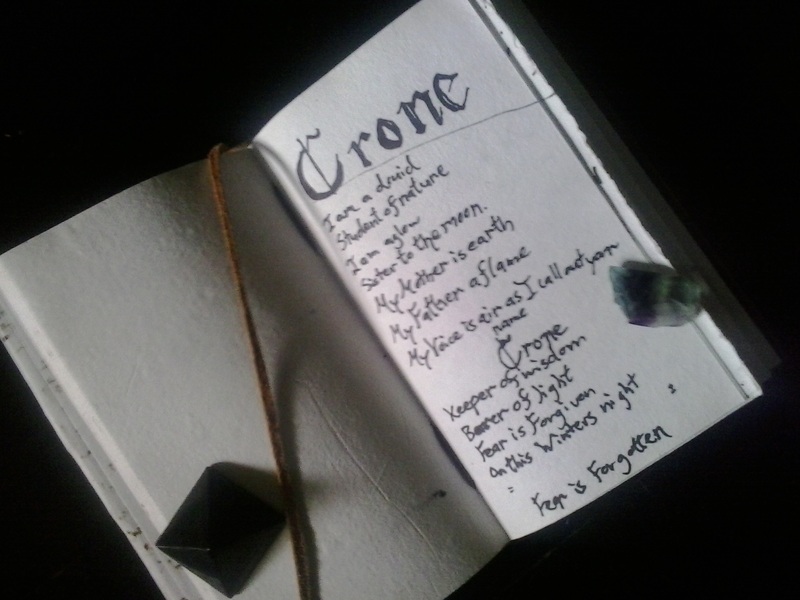 I’m going to share with you a powerful dream that I had where I encountered the Crone, as well as a page from my own Grimoire or Book of Shadows. First I dreamed that I was standing on a street corner at an intersection (which is obviously just a modern cross roads) and the building next to me had dark windows,no lights were on so I couldn’t see inside without cupping my hands around my eyes to block out the light from the street and putting my face right against the glass. Inside I saw a woman who seemed old beyond imagining. 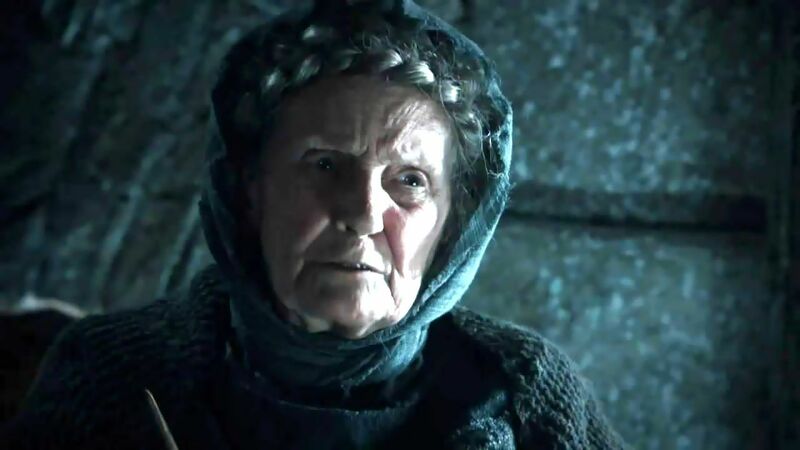 She was wearing a black hooded cloak and holding a candle. She met my eyes and leaned forward, quickly blowing out the candle. Even as my dream self I jumped back with a gasp and stood for a moment on the sidewalk to regain my composure. I turned to cross the street and woke up. Upon waking the fear dissipated and was gradually replaced by a very strong yearning to understand what that crone knew. What she could share with me. This dream kindled in me a powerful desire to deepen my connection with the Crone goddess. To learn what she could illuminate with that candle. I could not shake the feeling that she was guarding some very important wisdom and that the dream was her invitation for me to find it. The message was clear. It will be scary & It will be worth it. That chant just lept into my mind on a cold winter night (in case you didn’t guess that). It was a New Moon much like tonight and I could feel the Fear and the darkness all around me but also that underlying promise of greater understanding. One could easily change it to be valid for any season. “this hallowed night ” for example. This entry was posted in bean sidhe, madeleine star child, witch craft, woman of faeries and tagged book of shadows, crone, dark moon, death, fear, grimoire, life changes, moon phases, new moon, spell. Bookmark the permalink. That’s fantastic thank you! You can PM me on facebook https://www.facebook.com/SisterLunaPsychicServices/ If you have any questions or would like more guidance.